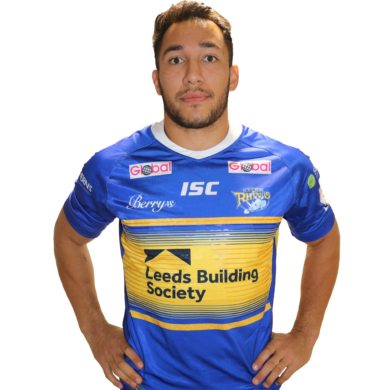 Nathaniel joined the Rhinos ahead of the 2018 season from Gold Coast Titans on a three-year contract. The 6’5” forward had been with the Titans since 2015 and previously played at the New Zealand Warriors. Nate made his Rhinos debut on the opening day of the season against Warrington, but two bicep injuries limited his involvement in his debut season to 13 games Born in Auckland and of Samoan and Cook Island descent, he played his junior rugby at Glenora Bears in the Auckland Rugby League competition. He has made 14appearances for the Titans last season in the NRL, a career high in his three seasons on the Gold Coast. In 2010, he was a part of the Brisbane Broncos’ National Youth Competition squad, but didn’t play a game and he returned to New Zealand in 2011 to play with the New Zealand Warriors and played for their National Youth Competition team in 2011 and 2012 In 2013, he moved on to the Warriors’ New South Wales Cup team, the Auckland Vulcans and on 21 February 2015, he re-signed with the Warriors on a one-year contract, however later that year was released to join the Gold Coast Titans. He made his NRL debut in round 18 of the 2015 season against the Manly Warringah Sea Eagles and marked his arrival with a try. The New Zealander has also played for the Burleigh Bears in the Queensland Cup.